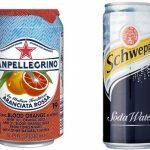 San Pellegrino Blood Orange is the latest flavor from the popular and very much loved sparkling water company. Many people have praised the rich taste and freshness of this new beverage. It is said to be made with natural flavors. 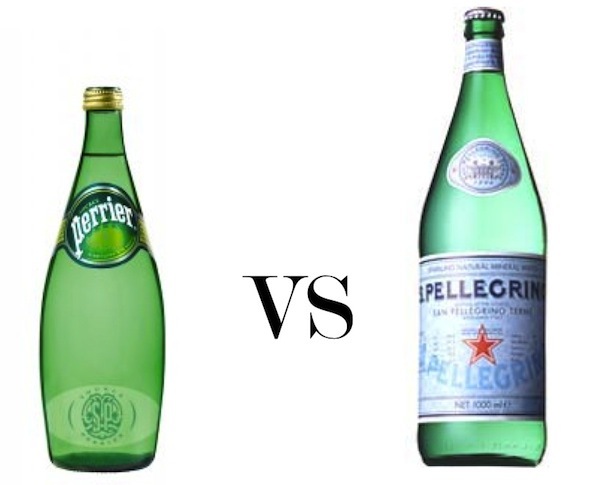 In this article, we will compare San Pellegrino Blood Orange vs soda water to see which one that is better. Let’s start from the thing that most people want to compare right away: the flavor. Nothing can beat the freshness that carbonated water can offer when it goes down your throat in a hot sunny day. Some people are somehow addicted to such drinks because of the enjoyable flavors and bubbly sensation. San Pellegrino Blood Orange, in particular, offers a new experience. See also: Bai Bubbles vs La Croix. San Pellegrino Blood Orange is quite a unique drink. It is a flavored sparkling water which is made with orange and blood orange concentrates. These elements combine really well. The orange concentrate provides familiar sweetness and sourness. Meanwhile, blood orange is known for having a raspberry-like flavor with citrus hints, and usually tastes a bit bitter while also being slightly sweet and sour. It will keep you coming back for another sip. The bitterness is there but not overwhelming. Instead, it pairs with the sourness to form an exotic taste which will tantalize your tongue. The sweetness comes at the right moment to balance the profile. After taking a sip of San Pellegrino Blood Orange vs soda, you will want to take more and more as you delve into the complex flavor combination. 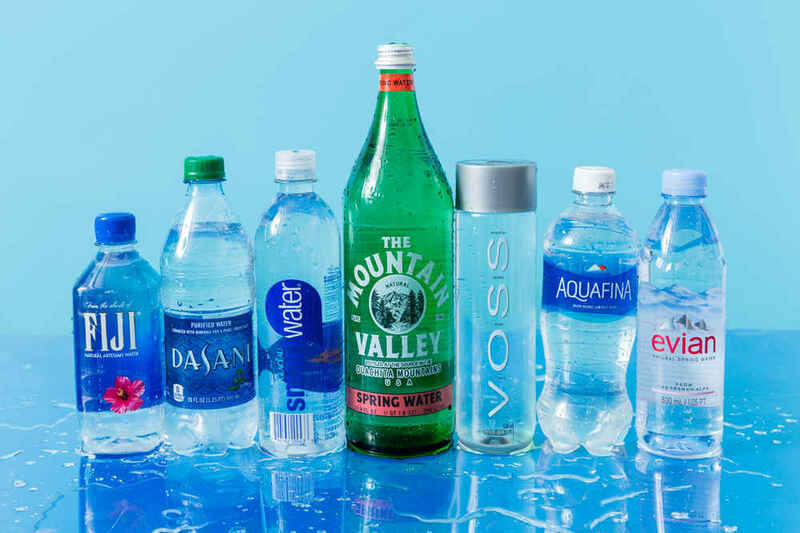 Soda water is available in many varieties. 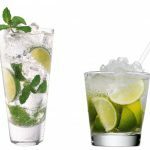 There are unflavored soda waters, which are simply carbonated waters that don’t have any flavorings – there are perhaps just some sugar and salt to enhance their tastes. Some people love such unflavored soda waters because they taste pure and clean. 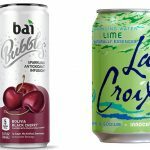 Unflavored soda waters can mix well with many other beverages to add bubbles without altering the flavor profiles significantly. On the other hand, flavored soda waters are perhaps the norm for young people. There are many different products with different flavors, such as cola, lime, orange, grape, and many other fruits that you can think of. These drinks are typically sweet or sour. Now, let’s see the ingredients used by San Pellegrino Blood Orange vs soda. 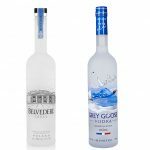 Both drinks use a wide variety of ingredients to enhance the flavors. However, not all of those ingredients are natural and healthy, especially if they come in excessively high amounts. San Pellegrino Blood Orange claims that it is made from natural ingredients. If we check its label, this is apparently true. The ingredients include water, carbon dioxide (so the carbonated water is not acquired from a spring, but manufactured by injecting an amount of carbon dioxide into the water – which is fine), 16% orange juice concentrate, 3% blood orange juice concentrate, black carrot extract and paprika extract for coloring, citric acid, pectin, and natural flavors. It does not give any further detail about what “natural flavors” that it uses. Most probably, “natural flavors” refer to the essence oils of the fruits used by the drink. Citric acid and pectin naturally occur in orange and blood orange, but we don’t know if the company adds additional citric acid or not. Unflavored soda water doesn’t contain many things. The core ingredient is just carbonated water, which can be acquired naturally from a spring or manufactured by injecting carbon dioxide into water. Then, it may contain sodium bicarbonate to increase the carbonation. 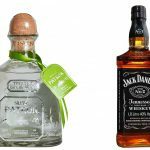 Some products may also contain additional sugar and salt, which are added to bring slight sweetness and saltiness into the drink. Flavored soda water, on the other hand, can contain a lot more things. 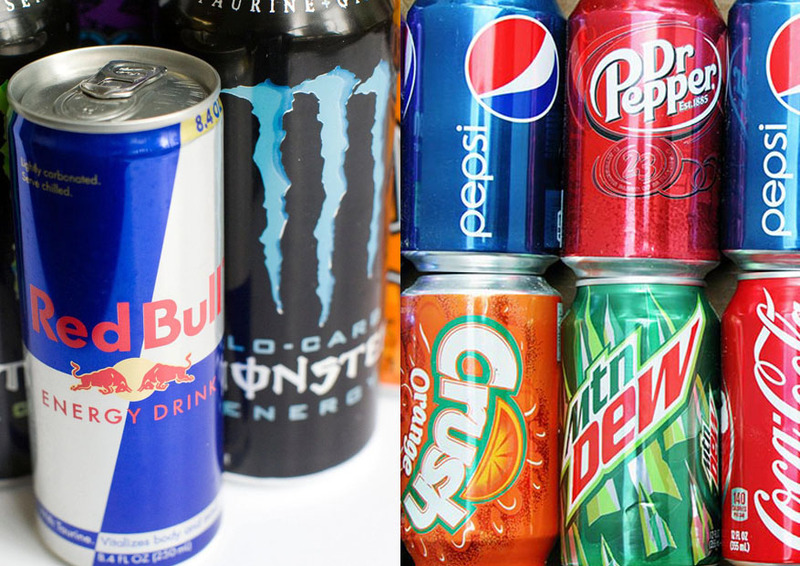 Such drinks typically contain significant levels of sugar and sodium. Some products use fruit concentrates or essence oils, which are generally considered to be natural due to being derived from real fruits. However, many products also use synthetic ingredients or chemicals. For example, some citrus-flavored soda waters actually don’t contain any citrus fruit; instead, the companies only add citric acid in order to mimic the citrus flavor. Furthermore, some soda waters may contain caffeine and artificial preservatives. 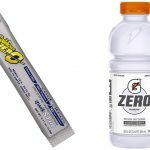 Comparing the ingredients is important when choosing between two beverages, but let’s also check their nutritional values. We can determine if a drink is safe or still within a tolerable range for our health by checking their ingredients and nutrition. San Pellegrino Blood Orange has a fairly high caloric count. One serving of a 330-ml can contains 130 calories. This is probably fine if you don’t need to worry about your body weight, and you don’t consume too much of it too frequently. However, if you need to carefully control your caloric intake in order to lose weight or avoid gaining weight, this is pretty high and you need to control its consumption. Each serving of San Pellegrino Blood Orange also contains 33 grams of total carbohydrates, 29 grams of which are sugars. This is a considerable amount, though not as much as some other soda drinks. Fortunately, the sodium level is only 10 mg, which is quite low. Excessive sodium consumption increases the risk of heart disease and cardiovascular problems, so choosing a low-sodium drink is wise. Unflavored soda water is perhaps one of the less risky bubbly drinks. 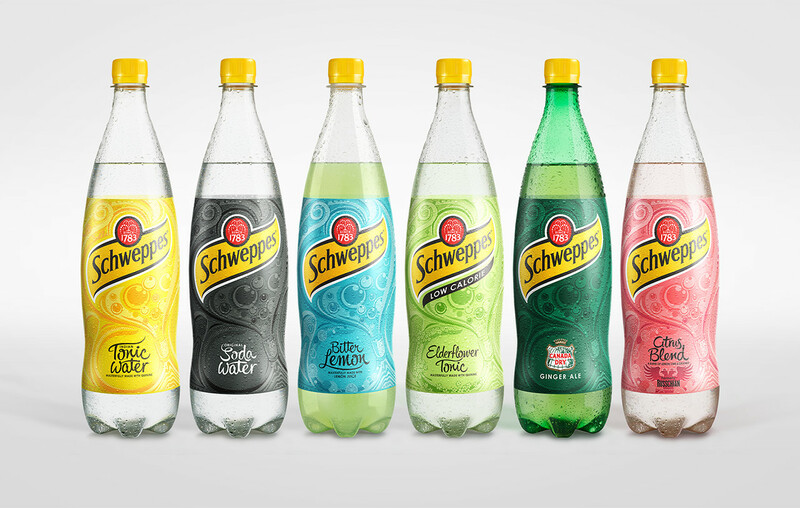 Let’s take Schweppes Soda Water as an example. This drink does not contain any calorie, so it won’t increase or decrease your caloric intake. It does not contain any sugar or carbohydrate. The salt content is only about 0.05 grams. So, it is a safe choice if you want to lose weight or avoid gaining weight. However, flavored soda water can be a lot more riskier. We take one 12-oz can of Coca-Cola original flavor as an example. 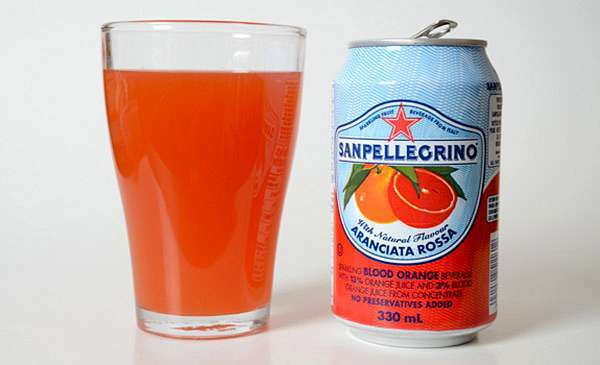 It contains 140 calories, which is slightly higher than San Pellegrino Blood Orange. That difference does not seem much, but it also contains 39 grams of added sugars and 45 mg of sodium. The numbers will quickly add up if you are the type of person who drinks soda frequently. San Pellegrino Blood Orange is usually consumed by itself. The complex flavor of this drink has put a limitation on how well that the drink can combine with other beverages. However, if you have an alcohol that does not have any real flavor by itself, San Pellegrino Blood Orange can create a flavorful cocktail. 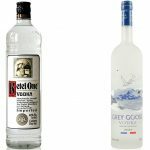 The combination of bitterness, sourness, and sweetness can pair well with alcoholic beverages with a pure and clear taste. Unflavored soda is the contrary. Unflavored soda doesn’t have any real taste by itself. Some people actually enjoy drinking unflavored soda without mixing it with fruits or other drinks. However, unflavored soda is often used for mixing cocktails. It can add bubbles to a cocktail without altering the flavor. 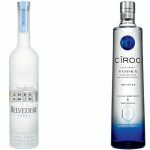 So, it is great for cocktails with more complex flavors. 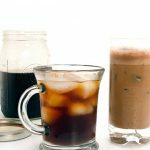 On the other hand, flavored soda is more commonly consumed alone, though sometimes used in a few cocktails to add flavors. 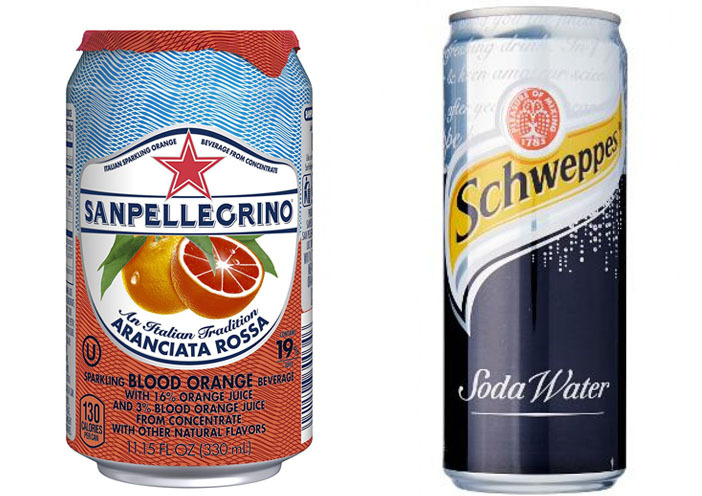 San Pellegrino Blood Orange is relatively healthy, at least if you compare it to most other flavored soda drinks. It contains slightly lower sugar and lower sodium. Still, you should not consume it excessively. The sugar level is still significant enough to cause a sugar spike and increasing your risk of diabetes if you are not careful. San Pellegrino Blood Orange does not seem to have an artificial ingredient, which is good, but it still has some acid. The acidity can damage your tooth enamel and eventually cause cavity or even tooth decay. So, you should not leave the liquid in your mouth for too long. Just take it down your throat and enjoy the freshness. Also, if you have a stomach ulcer or gastrointestinal problem, the acidity may worsen your symptoms. Unflavored soda drinks have lower risks, though they may still damage your tooth enamel and are bad for gastrointestinal problems. So, while they don’t contain too many calories, you still should not drink them excessively. Flavored soda drinks have higher health risks. As mentioned above, a high amount of sugar can increase the risk of diabetes. Not to mention that it can be an effective way to disrupt your weight loss progress. Meanwhile, high sodium can lead to heart disease and other cardiovascular problems. 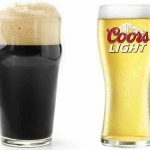 The carbonation, along with any added acid, can be really bad for your teeth and stomach. San Pellegrino Blood Orange is indeed a great and tasty drink. The complex flavor is really enjoyable. The bitterness of blood orange pairs well with orange notes. Compared to most soda drinks, it has relatively low sugar and sodium. It does not seem to have artificial ingredients. However, you still need to limit the consumption, because the calories and sugar content can add up.